Our CIBSE accredited Air Conditioning Inspector can provide you with air conditioning inspection to comply with The Energy Performance of Buildings (Certificates and Inspections) (England and Wales) Regulations 2007. Please refer to our seperate specific page. We can survey vacant or occupied premises for re-commissioning of existing fitted systems. 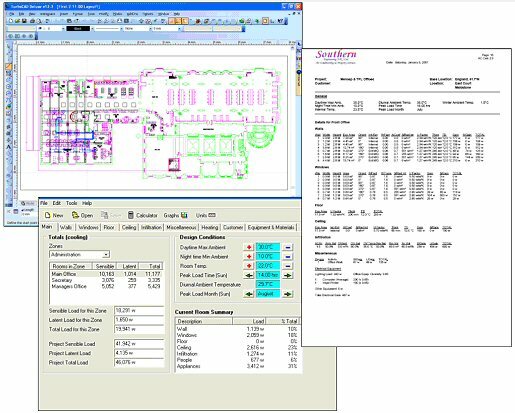 We can supply full detailed reports on existing Plant and Equipment, including assessment on suitability for planned future use. 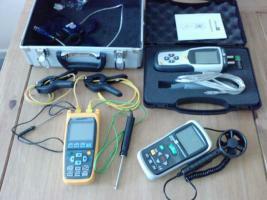 We can carry out electronic data collection to identify or confirm problems. It is a requirement of the English and Welsh Building Regulations Approved Document Part L2 for the provision to the building owner or occupier of a log-book giving details of the installed building services plant and controls, their method of operation and maintenance, and other details that collectively enable energy consumption to be monitored and controlled. This information is to be provided in a summary form. This can use or refer to information available from other documentation, such as the Operation & Maintenance Manuals. We can produce Building Log Books to the CIBSE TM31 standard to meet the requirements of the above Regulations. We can contract manage installations, from survey to completion. This can include production of documentation, and project plans, and attendance at meeting. Project Handover, and Client Training can also be carried out. 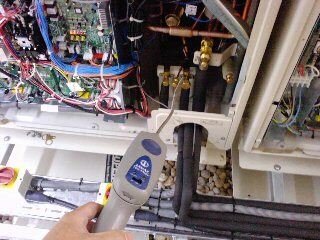 Generally Leak Testing should be carried out on systems with above 3kg of refrigerant. This should be carried out as part of the equipment maintenance, with a minimum frequency 12 monthly and only by qualified engineers. Where this has not been carried out we can arrange to inspect the systems, and produce documentation to comply with the F-Gas Regulations.